Jockey Billy Garrity sporting Cuffs & Co sponsorship. 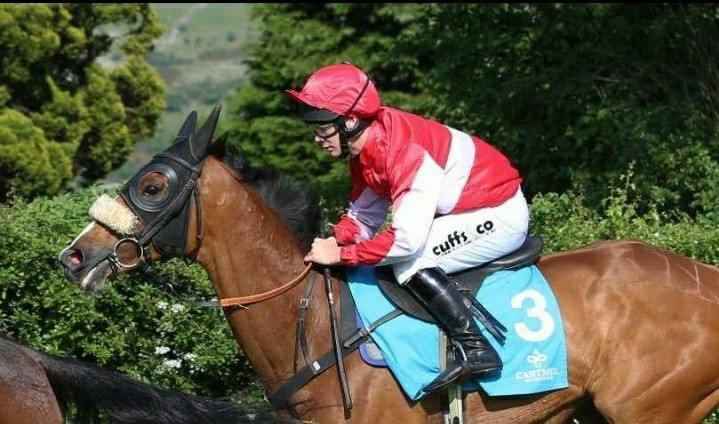 Today we are pleased to announce our sponsorship of Jockey Billy Garrity. Billy took part in his first race today wearing our logo on his breeches. Riding in his first race on horse Refusal, Billy quickly took a good lead and rode well until the finish to secure a win on his very first outing! Cuffs & Co founder Phil Pinder said. "I would like to take full credit for the win, and say the our logo added the winning edge that was needed. However, the reality is, Billy is a great young jockey and as he showed today rides with passion and determination." He continued, "This is the reason we chose to team up with Billy, and we hope our sponsorship will help Billy going forward. We are already well linked with horse racing through our links with York Races and the Ebor Festival, this seemed a natural progression."